The TennoCon convention is the place to be for all Warframe fans. 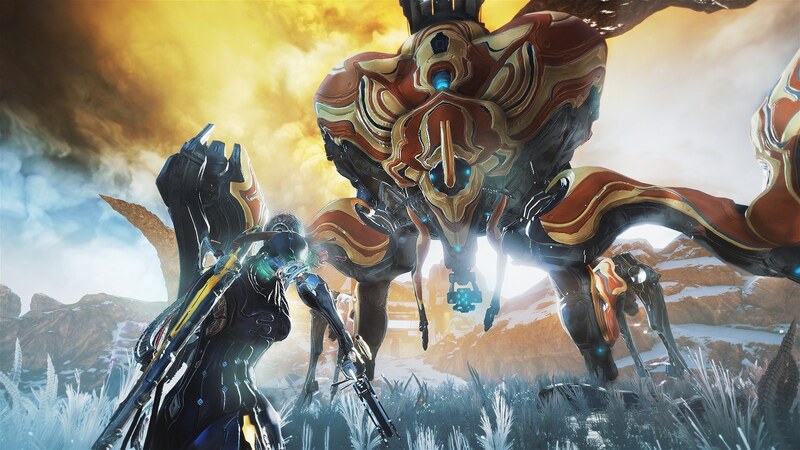 Not only are there meet and greets, and presentations on just about every subject to do with the game, developer Digital Extremes makes the most of the opportunity to lay out their plans for the following months. 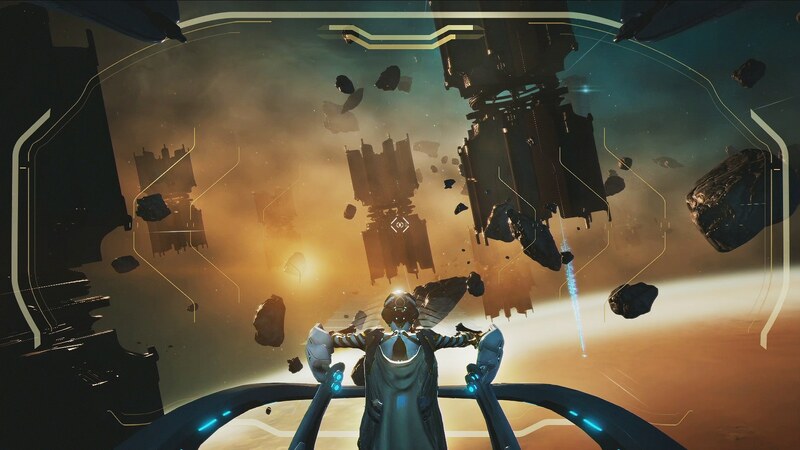 At the third annual TennoCon, the team revealed another major expansion, a multiplayer game mode where players take part in tactical space battles, new Warframes, and what players can next expect from their Cinematic Quest series. 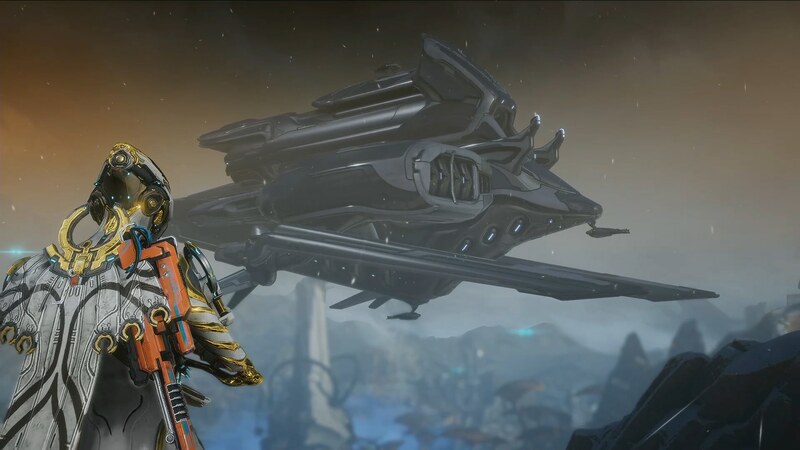 Last year's "Plains of Eidolon" update was hugely successful, and Digital Extremes will be following it up with another large expansion, "Fortuna". Players are taken to a neon underworld on Venus where they'll meet a new faction, Solaris United, and witness its struggles against the Corpus overlords for their freedom. 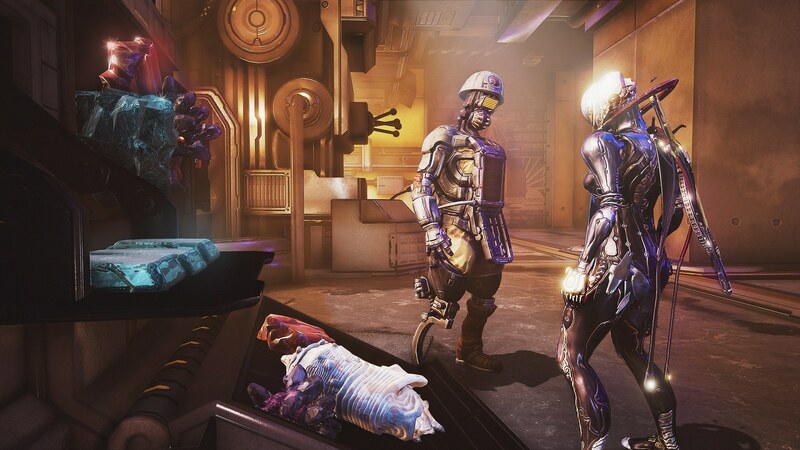 Beginning at the underground Colony of Fortuna, players will be able to pick up bounties and missions from hidden Solaris agents as they take part in their guerrilla warfare. 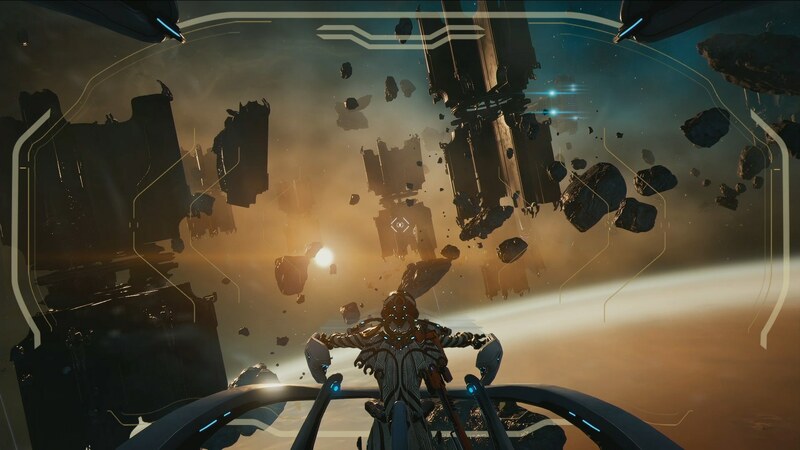 They'll then exit onto the open surface of The Orb Vallis where the towering Orokin structures, snowy mountains, giant mushroom stands and oceanic flora offer more verticality than experienced in the game before. 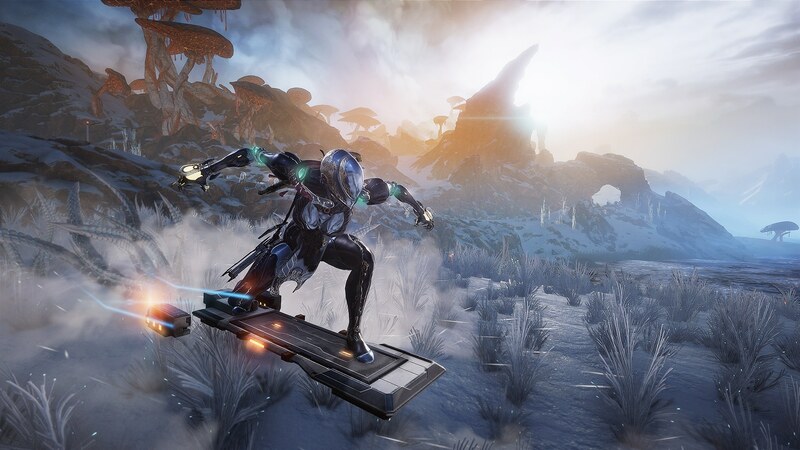 The new single occupant hoverboard, the Bondi K-Drive, allows players to get from location to location easily. The Orb Vallis, The New Open World - Building on the success of Plains of Eidolon’s earthen Landscape, The Orb Vallis is Digital Extremes’ massive new Landscape. Volatile, mercurial clouds of blue and orange loom over a sci-fi terrain populated with seascape flora, giant mushrooms, alien rock formations, rare creatures, and more. Solaris United and Fortuna - The cyborg Faction Solaris United live in the Blade-Runner-esque Debt-Internment Colony, Fortuna. 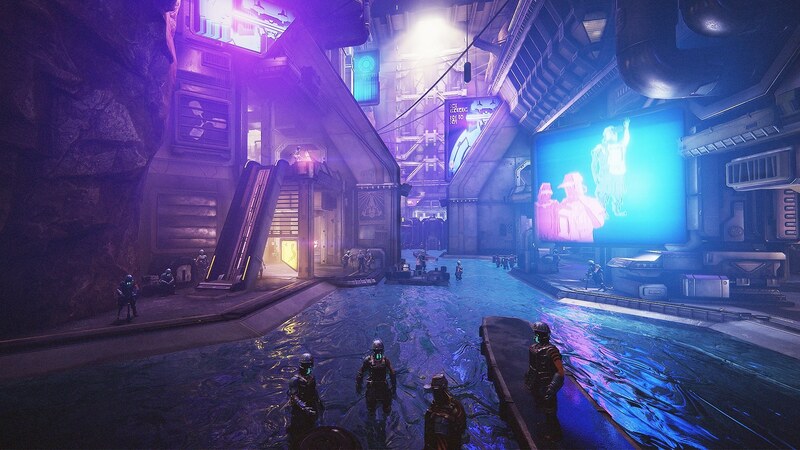 Similar to the gathering bazaars of Cetus in Plains of Eidolon, Fortuna is an underground hub city that serves as a factory to clean coolant rivers and doubles as a trading hub for the region. New Combat Experiences - The Corpus occupiers, led by the profit-obsessed Nef Anyo, bring new technology and warriors to bear. Alongside new Corpus ground troop variants, monstrous new Spider Bot enemies of all shapes and sizes will challenge players to face their fears when they explore The Orb Vallis and face-off with the prophet of profit. Ride a Hoverboard - Blaze across the wide open Venusian landscape by piloting the Bondi K-Drive. Call up this handy customizable hoverboard and quickly glide, jump, and trick across a variety of terrain. Join the Conservation Movement - Switch your mindset from blast-happy mercenary to friendly savior. The strange, wonderful animals of the Vallis are going extinct. 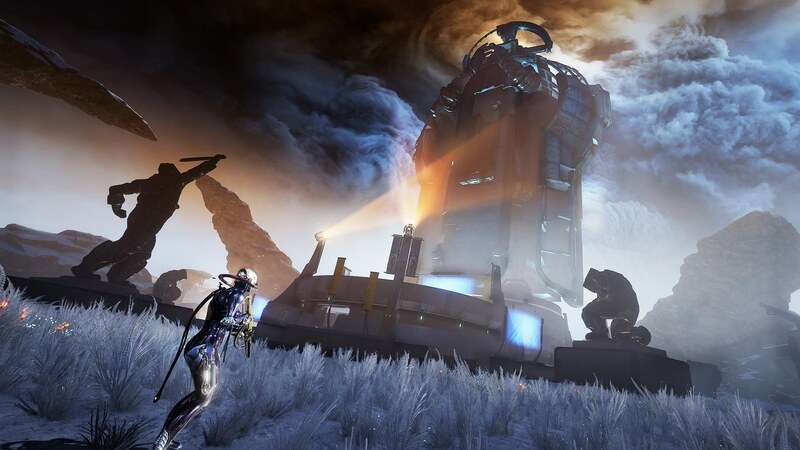 Explore the new world of Fortuna and apply your new skills to track, lure, and capture them for relocation. The talented sound team at DE has engineered an alien-tech soundscape of eerie effects and ominous music that set the sonic tone for an incredibly rich experience, and they are joined by renowned sound composer Keith Power who has returned with an upbeat, hum-out-loud musical intro of Fortuna unlike anything you have heard before. As well as the open world content, a separate update, "Codename: Railjack", will add a new multiplayer mode that sees up to four players take control of a fully customisable Sigma Series Railjack warship and ascend into space to take part in PvE combat against enemy ships. Players will need to share the many responsibilities that need to be completed when flying the ship, such as navigation, manning turrets, managing shields, and repairing damage. 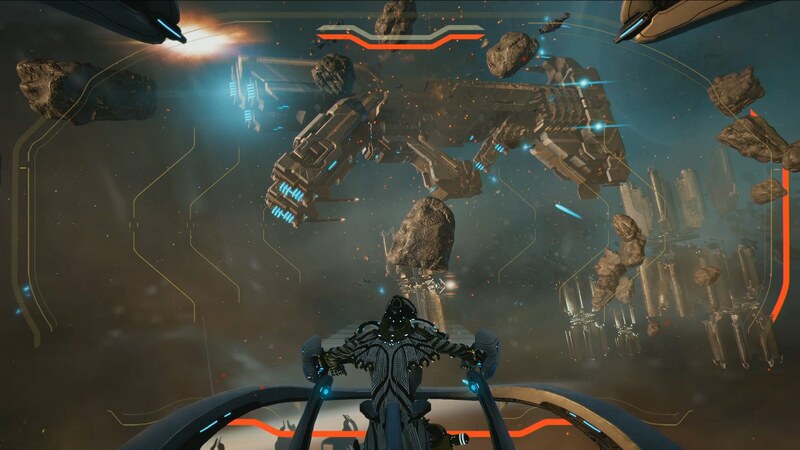 There will also be the chance to launch Archwings that take players to enemy ships where they can be boarded and destroyed from the inside, especially if they can destroy the enemy cannons, eliminate all hostile enemy soldiers, and take out the ship's core reactors. You can see the "Fortuna" and "Codename: Railjack" updates in action in the 32 minute gameplay video below, with commentary provided by several developers. 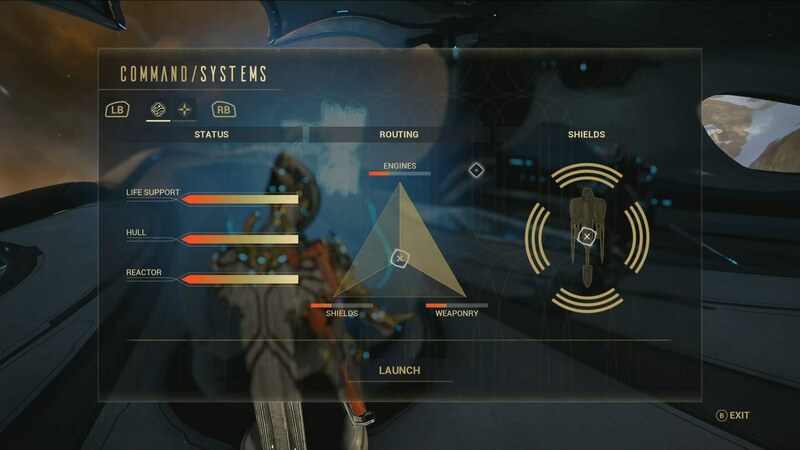 Players will also be able to make use of two new Warframes. Codename Revenant is an Eidolon-themed Warframe suffering with a deadly affliction. Meanwhile, Codename Garuda is described as "a vicious, gory Warframe that plays with her prey". 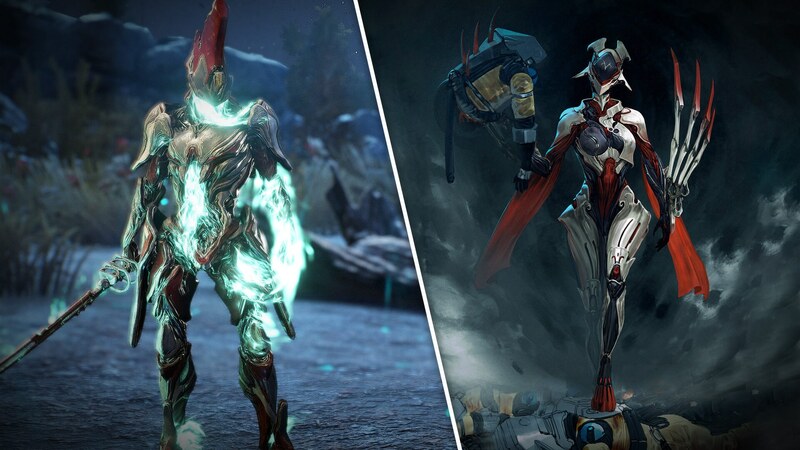 More details on these Warframes have been promised for later this year. Finally, the developer also teased the next chapter of the Cinematic Quest series: "The New War". The only details they divulged are what you'll see in the teaser trailer below. "Fortuna" is due to be released later this year. There is no estimated release window for "Codename: Railjack", the new Warframes, or "The New War". Warframe - The Glast Gambit is Here! Warframe The Silver Grove: Update 1 is here with TennoGen! Warframe Update 18.14 is Here! Warframe Update 18.11.0 is here! Warframe Hotfix 18.4.10 is Here!